This tour takes you into the centre of the Chianti Classico wine territory that lies between between Florence and Sienna. Your transport will be a minibus which is the most relaxing way to see the countryside without having to concern yourselves with winery appointments, road signs and TRAFFIC FINES. You’ll enjoy the wine tasting while your personal sommelier provides clues on how to characterise the wine. You will learn how Chianti Classico wine is made and, during a walk through the vineyard, you’ll study the characteristics of the main tuscan grape, sangiovese, as well as the characteristics of the soil of this region. If in season, you will have the opportunity to taste sangiovese grapes straight off the vine. 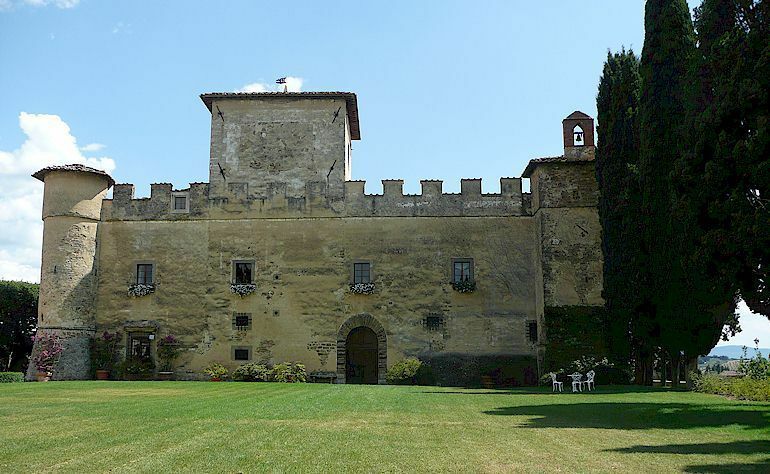 Next, we drive to one of the most beautiful and charming castle wineries in the area where we have the chance to explore parts of the ancient castle and the mediaeval cellars, as well as the historic rooms and their wonderful 16 C frescoes. We will taste two of their best red wines. The tasting is accompanied by a selection of bread, cheese and their olive oil. Here, at the first vineyard, you’ll hear a full discussion of the wines and the olive oil. We'll have a delicious lunch in a nice restaurant or directly at the castle. Our second stop will be Greve in Chianti, the market town of the Chianti Classico wine zone, where we will stroll around to enjoy this pleasant town with its shops and handicrafts, or the fortified mediaeval village of Montefioralle, an 11 C jewel. Our third stop will be at another gorgeous winer<, one of the most beautiful 13 C villas of the Chianti Classico area. • 10.00 a.m. Departure from Florence. • 10.30 a.m. Arrival at San Donato and visit the first winery for a wine tasting. • 1.00 p.m. Light lunch at a local restaurant or at the castle. • 2.30 p.m. Drive through the hills where you will see the different types of vineyard. 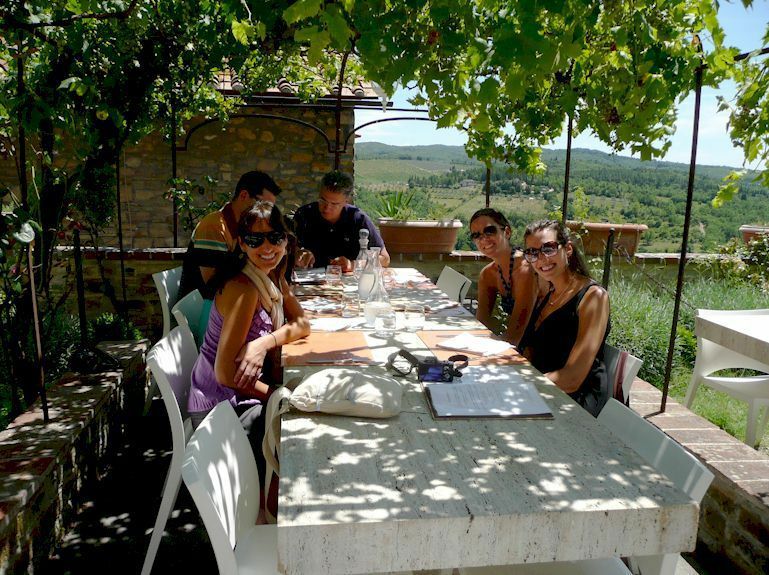 • 3.00 p.m. Visit the second winery for a tour and wine tasting. • 4.30 p.m. Return to Florence at approx. 5/6 p.m.
What time does the tour end? At 5/6 p.m.